ANES Ferries was created in 1979, to connect the island of Symi to the rest of Greece, and boost freight business and tourist traffic. The ferry company is owned by residents of Symi and the nearby island of Rhodes. 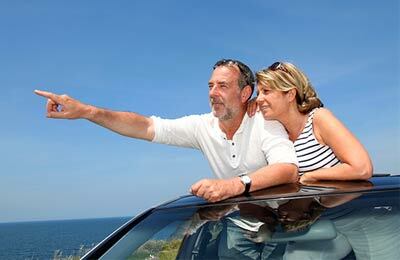 ANES provides ferry services to Aegina, Alonissos, Skopelos, Piraeus, Skiathos, Volos and more. You can book ANES Ferries with AFerry. See below for the latest timetables and the best prices customers have found recently. If you see a price you like, use the Get Price button to book! 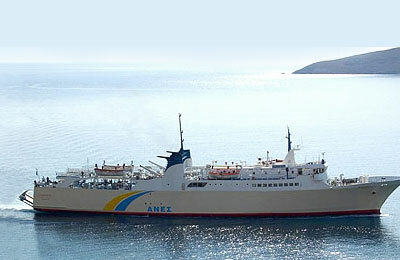 ANES Ferries operates a fleet of two vessels, the Proteus and the Ag. Nektarios. Both are large cruise vessels with capacity for over 400 passengers, and over 100 vehicles. On board with ANES Ferries you'll experience comfort and style while enjoying spectacular views of the Aegean. Each ship has a full range of indoor and outdoor seating and lounges. A range of snacks and refreshments are available on board the cruise ferries. The acronym ANES stands for Anonymous Ferry Company of Symi. 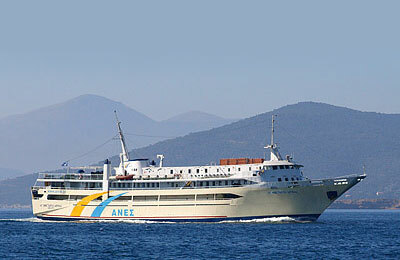 ANES Ferries is unique in that it is owned by residents of Symi and Rhodes. Back in 1979, there was concern that residents would leave these islands as they were isolated from the rest of Greece, so the ferry service began to allow freight shipments, and to generate tourist traffic. Fast forward to today, and these islands thrive as popular tourist destinations - and the island residents benefit from the success of the service! Whether you use the Aegina to Piraeus ferry, the Skiathos to Skopelos route, or any other ANES Ferries service, you're bound to have a relaxing and comfortable journey safe in the knowledge that you got a great deal with AFerry. How long before departure should I arrive for ANES Ferries?